Adam McKay was one of the eight acolytes chosen by the Ninja Tribunal. His avatar was a bear. He was a good friend of Donatello, and contributed ideas to the design of the Turtle Taxi. 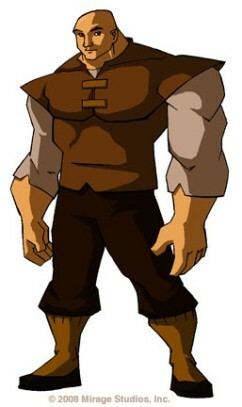 Adam appears as one of the eight chosen acolytes in the Turtles 2003 animated series’ “Lost Episodes”. He and his fellow Acolytes, as well as the Ninja Turtles, were deemed worthy enough by the Ninja Tribunal to join the battle against the Tengu Shredder. During a trip to find artifacts that would prevent Shredder’s resurrection, Adam appeared to be killed in battle with the Foot Mystics, but reappears later in the season, having been mysteriously not killed. Adam appears in “Wedding Bells and Bytes” for Casey and April’s wedding.